We then moved to a second main question, namely, when will the rapture take place relative to the coming seven-year Tribulation period? We offered the contention that believers can develop certainty that they will be raptured before the Tribulation period occurs for at least seven reasons. First, the Tribulation period's purpose concerns Israel rather than the church. Second, there is no reference to the church as being on the earth in Revelation 4–19. Third, the church has been promised an exemption from divine wrath. The fourth reason is that the rapture is an imminent event and only the pretribulation view is in harmony with this doctrine. The fifth reason is that only pretribulationalism is in harmony with the New Testament's presentation of the rapture as a comforting event. We now move on to our sixth argument favoring pretribulationalism. "And you know what restrains him now, so that in his time he will be revealed. For the mystery of lawlessness is already at work; only he who now restrains will do so until he is taken out of the way." "I will ask the Father, and He will give you another Helper, that He may be with you forever" (John 14:16). Because the Holy Spirit indwells every single Christian (1 Cor. 6:19; Rom. 8:9), the Holy Spirit currently restrains the spirit of Antichrist in the world through the life of the individual Christian and the church. The Christian's Spirit indwelt presence in the world thus keeps the spirit of the Antichrist in check and inhibits the Antichrist ultimately from coming to power. This spiritual reality is perhaps one of many reasons why Jesus referred to believers as the salt and light of the earth (Matt. 5:13-16). This truth also explains why it is so important for Christians to be involved in secular society through participation in the democratic process, vocational employment, holding positions of influence, and prayer. God uses such involvement to not only check the spirit of the Antichrist but also to prevent the Antichrist from coming to power. Because the believer's presence in the world acts as a hindrance to the Antichrist's advent, Satan hates the earthly existence of the Christian and the church and wages perpetual warfare against them (Eph. 6:11-12). Such hatred may help explain why, according to some estimates, modern global Christian martyrdoms are currently at an all-time high. Moreover, many people attack the study of end times Bible prophecy on the grounds that such a focus encourages Christians to adopt a mentality that says that it is God's will for the world to go from "bad to worse." Opponents of a literal understanding of biblical Eschatology often claim that this attitude undermines the Christian's obligation to be salt and light to the secular world. In actuality, 2 Thessalonians 2:6-7 teaches that the Christian's very presence and involvement in the world is the very thing preventing the predicted last days' scenario from unfolding. Thus, it is not an inconsistency for a Christian to be concerned and involved with secular society while simultaneously believing that the Antichrist will one day come to power and lead the world astray. How does all of this lend support to the pretribulational rapture view? According to 2 Thessalonians 2:1-2, the Thessalonian Christians had received a forged letter alleging to have come from Paul indicating that the Day of the Lord had already started. As a result, they believed that the Day of the Lord, or the seven-year Tribulation period, had already begun and they were in the midst of it. In 2 Thessalonians 2:6-7, Paul wrote the troubled Thessalonian Christians to tell them that the Tribulation period had not yet begun. The Antichrist cannot come to power and initiate the Tribulation period by entering into the covenant with Israel until the restrainer is first removed. The Restrainer is the Holy Spirit. As stated before, since the Holy Spirit indwells every believer, the Holy Spirit restrains both the spirit and revelation of the Antichrist through the presence of Christians and the church in the world. Because the Holy Spirit permanently indwells all believers, it would be impossible for God to remove the restraining ministry of the Holy Spirit from the earth without simultaneously removing the believers whom the Holy Spirit permanently indwells from the earth. If God removed the Spirit without the believers in whom the Spirit dwells, Jesus would be breaking His promises of the Holy Spirit indwelling all believers forever (John 14:16) and never abandoning His own (Matt. 28:20; Heb. 13:5). Thus, the Antichrist cannot come to power and the Tribulation period cannot begin until all Christians are removed from the earth through the rapture. Knowing this makes it a waste of time for Church-Age believers to attempt to figure out if various modern world leaders are the antichrist. That fact will not be made clear until after the church has already been raptured to heaven. After the restraining ministry of the Holy Spirit is removed, then Satan will be unhindered an unencumbered. He will thus be free to unleash his man the Antichrist onto the world stage. This Antichrist will then launch the seven-year Tribulation period by entering into the covenant with unbelieving Israel. He will deceive the masses (2 Thess. 2:8-12). As a result, humanity will quickly coalesce into a one-world false religious, economic, and political system. In this sense, the removal of the Restrainer from the earth will result in ultimate global rebellion, apostasy or departure from known truth. "Where can I go from Your Spirit? Or where can I flee from Your presence? If I ascend to heaven, You are there; If I make my bed in Sheol, behold, You are there" (Ps. 139:7-8). Therefore, the above stated objection to this interpretation can be answered by noting that while the current restraining ministry of the Holy Spirit will not be present on the earth during the Tribulation period, the convicting ministry of the Holy Spirit will still be in operation. As the Holy Spirit convicts people of their need to accept Christ as Savior (John 16:7-11), numerous people will be converted to Christ during this time period. In other words, the only pneumatological removal between the transition from the Church-Age to the Tribulation subsequent to the rapture will be the ministry of restraint. 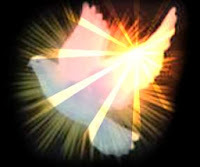 The Spirit's unique and present ministry of restraining the advent of the Antichrist will end with the rapture while the Spirit's convicting ministry will remain. In sum, having previously answered the question, "what is the rapture? ", we noted six of at least seven reasons that affirm the pretribulational rapture view. The first reason is that the Tribulation's ultimate purpose concerns Israel rather than the church. The second reason relates to the concept of the missing church not only from Revelation 4–22, but also from all central and critical Tribulation texts. The third reason is that the church has been promised an exemption from divine wrath. The fourth reason is that the rapture is an imminent event and only the pretribulation view is in harmony with this doctrine. The fifth reason is that only pretribulationalism is in harmony with the New Testament's presentation of the rapture as a comforting event. The sixth reason that the rapture will take place before the Tribulation period begins is because the Antichrist cannot even come forward until the Holy Spirit's restraining ministry through the church is first removed. Gary North, Rapture Fever (Tyler, TX: Institute for Christian Economics, 1993).